"Prosperity depends more on wanting what you have than having what you want." ~ Geoffrey F. Abert. 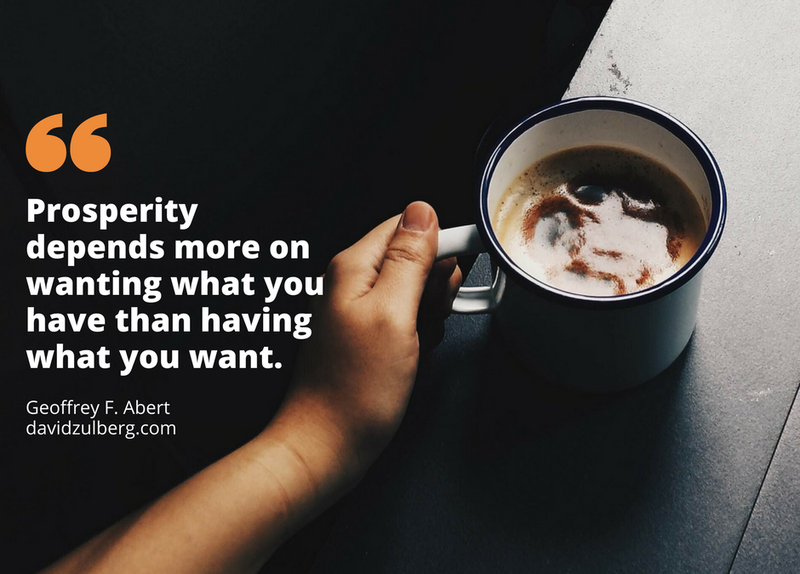 “Prosperity depends more on wanting what you have than having what you want.” ~ Geoffrey F. Abert. Sometimes the answer to happiness and contentment lies in noticing what you actually have. New things and challenges can be exciting but you can never be happy if you are never content with what you have. Prosperity is more about appreciating what you have then achieving new grandiose goals. Perception is the key to prosperity.